Over 1,000 protestors blockade the entrance to Hinkley Point power station in response to a proposed new nuclear reactor. 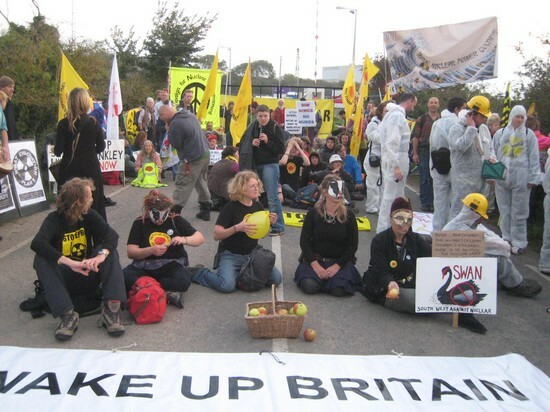 Around 1,000 protesters have blockaded the entrance to Hinkley Point power station in Somerset, marking a year since the Fukushima disaster. The demonstration is against plans to build new nuclear reactors at the Hinkley station. Many of the protesters stayed overnight, blocking traffic going in, and coming out. The blockade is the latest in a long line of actions in the campaign against a new reactor at Hinkley.